This passed Saturday members of our team went pink from their heads to their feet for the 2nd Annual Pink Out 5k. 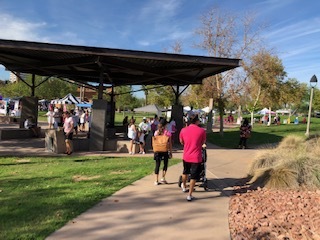 The event took place at Steele Indian School Park from 8:00 a.m. to 11:30 a.m. 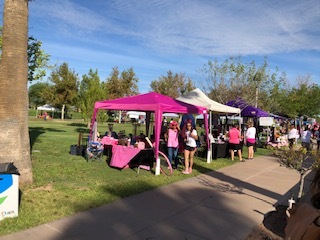 It was a fun and festive way to give back and show our support of women and their families that have been effected by breast cancer! Get to Know More About Don’t be a Chump! Check for a Lump! Don’t be a Chump! Check for a Lump! 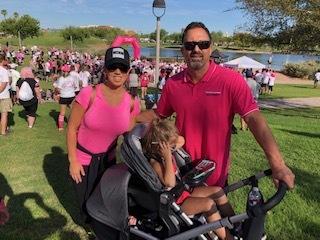 is an eight-year-old, local 501(c)3 making a difference in the fight against breast cancer. They do this through educational and preventative programs, offering mammograms and free wigs. 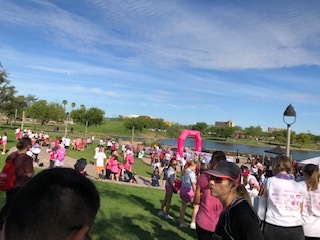 Now, since they have become a prominent figure in the breast cancer community, they focus on providing invaluable free programs to women across the state of Arizona. 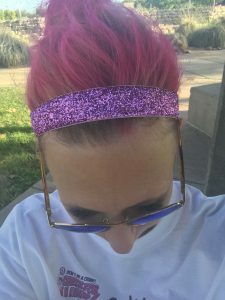 News Pink Out 5k Bookmark the permalink.